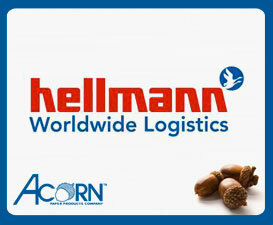 Hellmann Worldwide Logistics is a logistics services company with its head office in Osnabrück, Germany. 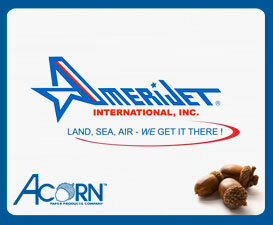 Amerijet International is an American cargo airline headquartered in Fort Lauderdale, Florida, United States. Acorn Paper was founded by Jack Bernstein in 1946, after moving to Los Angeles from Chicago, where he was active in the packaging business in the late 1930s. The company started by selling job lot (over-run) boxes with 5 employees in a 11,000 square foot warehouse.